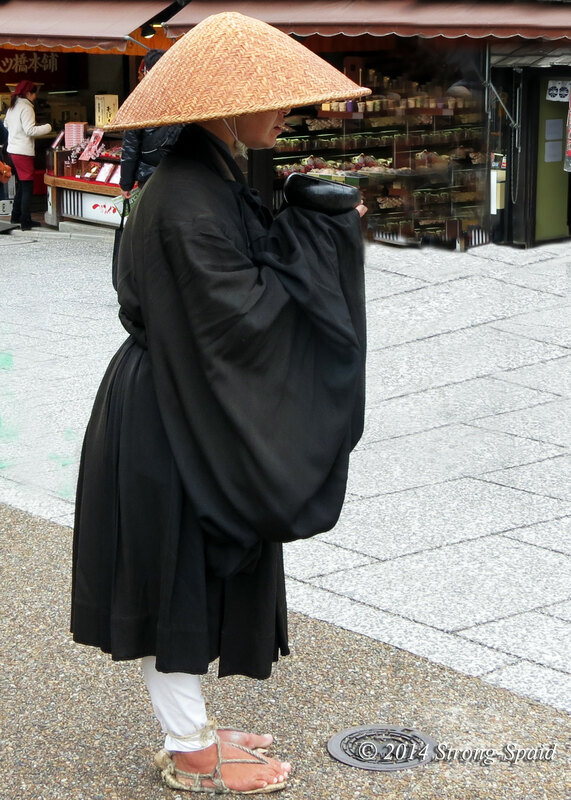 This entry was posted in Buddhism, Haiku, Philosophy, photography and tagged Japan, meditation, monks, poetry, Zen. Bookmark the permalink. This is one chique Monk! Everything about his appearance is immaculate, a world in himself. I am being serious when I say that looking at this I can understand why fashion has a place in society. We can laugh at people with matching shoes and handbags but a well balanced outfit is perhaps another way to show respect to the human form. This is such a mesmerising image. Great peace to you also! An Intriguing & effective image. I had the impression that the figure might have been female.